A few days ago, we asked whether or not State Treasurer Richard Mourdock is permitted to raise funds during the long session of the General Assembly since Indiana Code indicates state officers are not permitted to raise money during the session. We also said we know Richard Mourdock to be a stand-up guy and that there was either an explanation or he was unaware of the rule. As it turns out, there is an explanation. A helpful reader was able to find an advisory opinion from the FEC on a similar case in Georgia where legislators are not permitted to fundraise during the legislative session. The opinion indicates the FEC supersedes state law on many issues of federal campaigns including this specific fundraising issue. 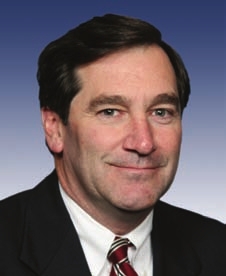 As many blogs have written this past week and we wrote back in February, it looks as though Congressman Joe Donnelly is going to be running for U.S. Senate. The IndyStar had a more detailed article saying Donnelly plans to make a decision in the next few weeks. What we found most interesting is the message themes Donnelly seems to be focused on. He called it “shared Hoosier values” and it centers on jobs, education and energy independence. Jobs and education are no brainers and with the rising gas prices, energy independence could prove to be the right message at the right time. It also gives him a chance to look tough on national defense. That could be very important depending on who his opposition will be. The general thought has been that Donnelly will try to run as a pro-gun, pro-life Democrat who stood up to Nancy Pelosi. He will likely be able to make the pro-gun stance stick. He will, however, have a huge issue on claiming to be pro-life. Donnelly voted for the health care reform bill a.k.a. Obamacare and the pro-life groups view that bill as a litmus test. We’ve seen this show before starring fellow named Brad Ellsworth–it didn’t exactly get rave reviews. But based on the messages Donnelly is testing, it seems as though his team knows they’ll have to run on a lot more than just the typical Hoosier Democrat platform. The article also noted, “Donnelly said any campaign wouldn’t be affected by the outcome of the GOP primary.” While the campaign may not be affected by the outcome of the primary, you can bet the campaign was launched because of it. As most of you are probably aware, earlier this week the Indiana State Senate did as expected and passed the constitutional amendment banning gay marriage. It didn’t stop there though since banning something that is already illegal wasn’t quite enough. The bill also makes sure to get rid of civil unions and really any benefits associated with marriage. It now needs to pass through the next elected legislature after the 2012 elections with the exact same language and then will be voted on by Indiana voters most likely in 2014. Matt Tully penned an interesting column trying to put a positive spin on the situation saying this gives Hoosiers a chance to send a message against discrimination with a vote striking down the amendment in 2014. He urges sympathetic political leaders, gay rights groups and the business community who view this amendment as anti-business to work together and get ready for the big vote with grassroots efforts and fundraising. And he reminds us that with each passing day, more and more Hoosier see this legislation as spiteful discrimination. These things, in our opinion, are all true. But we also think that Tully’s column is full of wishful thinking and is based in a dream world rather than the reality here in Indiana. While many Hoosiers do believe this is discriminatory nonsense that should not be put in our state constitution, there are a great many who believe it is critical to protect families and marriage. We’re frankly not sure who or what they think is threatening it but they certainly believe it to be true. In 2014, these individuals will be worked up into a frenzy by Right-wing advocates like Micah Clark and Eric Miller. Unfortunately, many Republicans and Democrats will begin to pile on to the issue and use it as a wedge in their close elections. And the amendment will most likely pass. If people want to stop this amendment from moving forward, it needs to be done by kicking the can down the road and ensuring the bill does not pass the next legislature. While all the preparation for a possible 2014 vote is important, the best chance for success is getting a legislature that will not allow this legislation to pass the second time around and will focus on other issues. Right now, we have an extremely conservative State Senate that will absolutely pass this bill and there is little chance of changing the dynamics in the upper chamber. Even more disheartening is that the likely Republican nominee for Governor, Mike Pence, will surely use this issue as well. The best hope is shaking things up in the House which will be difficult particularly with Pence on the ballot and the TEA Party running around scaring away moderate candidates. This isn’t a scenario we like very much since we do lean to the Right and typically the folks that support this bill do too. We aren’t advocating to toss Republicans out the door and give the House to Pat Bauer. Frankly, he voted for the amendment this year in the House session so that is not a solution. The only real solution is for the people who care about this issue is to work within BOTH Parties to find and support candidates based on where they stand on this particular issue. All the groups that Tully mentioned need to begin candidate recruitment and be ready to play in both the Primary and General elections in 2012. Gay rights advocates have been used and abused by both political parties. This is a human equation, not a partisan one. Until advocates factor that into their strategy, they are going to have a hard time keeping this rock from rolling down the mountain. 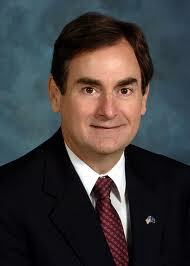 Open Question: Mourdock Raises $125,000. Is It Allowed? There was an article yesterday in Politco where U.S. Senate candidate Richard Mourdock talked about his campaign finances and the upcoming finance reports. Mourdock says he has raised about $125,000 so far. Senator Lugar had over $2.4 million in the bank in the last report. Mourdock also said, “People who annually give to the state party $50,000 a year have called me to say, ‘I want to help you, I want to be on your finance committee.’ And these are people who wrote Sen. Lugar a check as recently as January.” We are interested to see who and you can bet we will be watching for the finance reports to come out to figure it out. The bigger question for us right now is if Richard Mourdock is permitted to fundraise. Many of you probably recall that there was a law passed through the General Assembly last year prohibiting state officers and those candidates for state office to fundraise during the long session i.e. a budget session. This is a budget session and Richard Mourdock is the State Treasurer. To be clear, Richard Mourdock is a stand-up guy and we would assume that there is either an explanation or he was not aware of the rule. But we are asking the question. Is there some loophole we haven’t read in the Indiana Code that allows Mourdock to be raising money during the budget session? Lawyers, let us know what you think. Yesterday, Melina Kennedy decided it was a good idea to go after Mayor Greg Ballard on his job commitment numbers in an email and a press release. We cannot say we are surprised. While we agree with Gary Welsh at Advance Indiana that Kennedy has completely struck out on her first two attacks on Mayor Ballard, we think she simply has got to find a way to discredit his jobs numbers. Think about it. You are Melina Kennedy. You were Deputy Mayor in charge of economic development and you tout it as a major part of why you are best equipped to be Mayor. But, you have a problem with some numbers. Ballard created more jobs in 2010 than you were able to in 2002, 2003, 2004 and 2005 COMBINED. You’ve got to make those numbers irrelevant or at least muddy the waters. Unfortunately for Kennedy, it doesn’t look like the Ballard crew plans on letting that happen anytime soon. Marion County Republican Chairman Kyle Walker hit back in the below email and, we have to say, it made us wonder if the Kennedy campaign needs someone to donate a subscription to the Indianapolis Business Journal. Melina Kennedy’s campaign just sunk to a new low. 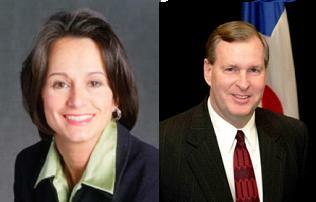 Kennedy sent an email today that included lies about Mayor Ballard’s record on job creation. Additionally, Kennedy’s email demonstrates that she is either misrepresenting the Ballard administration’s record or Kennedy doesn’t understand the city’s economic development work (which she touts she did for several years). We all know why Melina Kennedy is launching false attacks…because Mayor Ballard’s administration has produced a record number of job commitments for the city. In 2010, Indianapolis received commitments for 8,702 new jobs and $934 million in capital investment – both are record highs. And it is more job commitments than Melina Kennedy’s economic development efforts yielded in 2003, 2004 and 2005 combined! Melina Kennedy has previously promoted her “record” of economic development, compiled the same way by both administrations, but now she doesn’t want to compare numbers. “Of the 8,702 jobs committed, 4,403 were associated with companies receiving local public incentives, such as tax abatements or infrastructure upgrades. Other companies are offered local incentives but accept only state tax credits; they account for 2,600 of the jobs. Still others get no public dollars but accept Develop Indy’s help in recruiting employees or selecting a site. Those companies committed to 764 jobs on the city’s list. Since competing apples to apples with Mayor Ballard’s job creation record doesn’t bode well for Melina Kennedy, she’s trying to change the rules of the game. Don’t let her! Arm your friends with the facts by forwarding this email today. A few weeks ago, Melina Kennedy released her plan to combat illegal guns. We did not write on it since we were on hiatus and we thought the plan was a lot of political talk that sounds good but does not really accomplish anything. You can judge for yourself by reading it. Mayor Ballard had an op-ed printed in today’s IndyStar that addresses the issues we saw in the plan so we aren’t going to re-create the wheel. Public safety is Job One. I ran on that platform in 2007, and I devote constant attention to making our streets safer. One of our first actions was to return responsibility for the police department to the mayor. We are transforming the training of our police officers and investing in new equipment, vehicles and technology. We are aggressively pursuing that small group of criminals who cause most of the problems. Our efforts to increase safety are working. Last year, the number of homicides dropped to the lowest level since 1995; and we are on pace to have even fewer homicides this year. Violent crime is lower. Overall crime is lower. You are safer on the streets of Indianapolis. We are making dramatic improvements. Recently the issue of illegally possessed guns has been a topic of discussion in The Indianapolis Star. Some people think the answer lies with amnesty for criminals, signing a national gun control petition and closing the so-called “gun show loophole.” Others have suggested the creation of a special unit within the Indianapolis Metropolitan Police Department tasked with addressing illegal guns. Let me be clear. I do not support amnesty programs for gang members, drug dealers or people who use guns in the commission of a crime. I will not sign a national gun control petition, especially one that does not remove a single illegally possessed gun from our streets. Creating a special police unit might score political points, but it detracts from the real police work being done, work that seized nearly 2,000 illegally possessed guns last year. We focus on tactics that work and make our streets safer. IMPD special units aggressively and relentlessly focus on tracking down gang members and drug pushers, the two groups using guns to commit crimes in Indianapolis. Since I took office, we have made nearly 5,000 drug arrests, executed more than 700 search warrants, seized more than $19 million in drug money, and taken nearly 690 pounds of cocaine, 16,200 pounds of marijuana, and 26,000 grams of heroin off the streets. When it comes to the so-called “gun show loophole,” let’s focus on the facts. Current law requires all professional gun dealers to run a background check prior to sale, regardless of whether that sale is taking place in a retail store or a gun show. According to the FBI, 0.7 percent of criminals purchased their weapons at gun shows. Most criminals purchase their guns from other criminals on the streets or they steal them. That’s where IMPD is focused. Education and community partnership are also keys to helping address this problem. I want to praise Sheriff John Layton for working to distribute gun locks for legally possessed firearms. I also want to thank the many community groups and local faith-based organizations working to increase awareness of gun safety and encourage people to turn in illegally possessed or unwanted firearms. We are addressing the real issue with real actions. It is an issue we take to heart because we have witnessed senseless tragedies in our community and lost one of our own as a result of illegally possessed firearms. But, a national petition, amnesty programs and more government bureaucracy are not the answer. Continuing the aggressive and relentless work of our hardworking men and women of IMPD, our drug and gang task forces and our county, state and federal partners are. 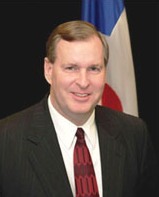 Ballard is mayor of Indianapolis. Indiana Workers Being Used as Pawns, But By Who? We were aware of the exemptions being amended to the bill and we agree with them. As far as we can tell, there are plenty of smoke-free options for those who choose to avoid smoke in both work and play. Many bar restaurants have no smoking rules during the day and allow for smoking during specific hours when their clients expect it. There are non-smoking bars both downtown and in Broadripple for servers, bartenders and patrons to have a choice–and that is what we support. Still, we read the email and may watch their news conference online as they noted we could. But, we found something else about the email much more interesting. The emails were sent by folks from Fenton. It is not at all uncommon for a cause like Smoke Free Indy to employ an outside public relations/issue advocacy firm to help with their messaging. No surprises there. What we did, frankly, find a little surprising is that they would choose Fenton. Fenton may be a great company. They certainly seem to have some big clients. But, they don’t seem to be a good fit for this particular campaign. First, if you check out the contact page, you can see that they have locations in D.C., California, and New York. What about Indiana? Yeah, not so much. Perhaps they should have thought about using an Indiana firm before sending us an email saying things like “Ind. workers used as pawns” and “protecting Indiana workers.” How about employing Indiana workers if you care so much about them? Secondly, you can find a list of clients and case studies for groups Fenton has worked with on their site. It is not a secret that we are pretty progressive over here so we think it is great Fenton works for equality groups associated with gay marriage and the like. We weren’t even bothered by Planned Parenthood. They provide a lot of necessary services for low-income women that have nothing to do with abortion–but that is a different post. We draw the line, however, at MoveOn.org. Call us crazy, but we do not think Smoke Free Indy has anything to do with the Indiana workers with whom they claim to be concerned. We think it boils down to an elitist group of people who are not satisfied to make a decision for themselves to not smoke and not frequent locations that permit smoking. They know best and they can make that decision for themselves and everyone else. They do not like smoking and, therefore, you should not smoke. We would agree that Indiana workers are being used as political pawns–we just disagree with Smoke Free Indy and Fenton on who is using them. UPDATE: Smoke Free Indy emailed us and said they have no idea who Fenton is working for but they use a local firm, Promotus, for their advertising. We recieved two emails from Fenton promoting the press conference. Since they are not a local firm, someone must be paying them. The question is who.